Home » The extraterrestrial cover-up is finally coming to an end. They are already here! There is a definite reason why the elite of this world does not want to be discovered that there are extraterrestrials. There will be no more borders between the countries of the planet Earth will be necessary or relevant, and our political and religious leaders seem to make us see these things as insignificant in our lives in many ways, even deny the information that comes to light. This is nothing more than a work of elite manipulation on this planet. THE END OF DAYS FOR THE ELITE? It is no longer the case to ask ” are we alone in the universe?” , But instead, the question now is: When will the aliens be discovered and what do they want? Of course, the powers of the world try to make people stand on the side of fear with ideas of them as if they were ‘demons’ unknown to heaven. Some religious groups will oppose foreigners and try to discourage the world from joining them. The aliens will probably announce to the world who they are and where they come from and their reasons for their official contact with Earth. As soon as the great majority of the human race can accept what they are and why they are here, a sudden and complete world begins to awaken, and suddenly, the universe will be considered as a new amusement park for the discoveries of the people from this world. Our technology will become obsolete compared to that used by foreigners. 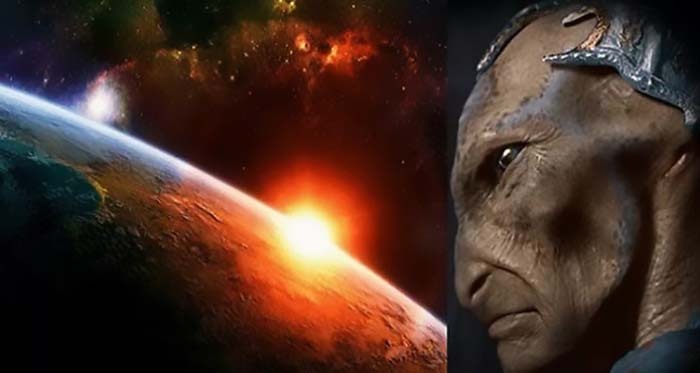 Our corrupt leaders and the elite, which is 1% of the population on this planet are afraid of losing control over us, but it is inevitable and critically important that we unite with these extraterrestrial beings who want to be like the Galactic / Universal brothers.